People tend to start thinking about a new car when their existing vehicle starts acting up. All major dealerships have a service department on site, with expert mechanics ready to fix any problem you can throw at them. Dealers can take advantage of this by offering maintenance and repair discounts to people in their area. People love a deal, and once they get their foot in the door, you can have them explore the option for a newer and more reliable automobile. Most of the ads that you see for auto dealerships are usually all about the new inventory on the lot and the specials that are available. 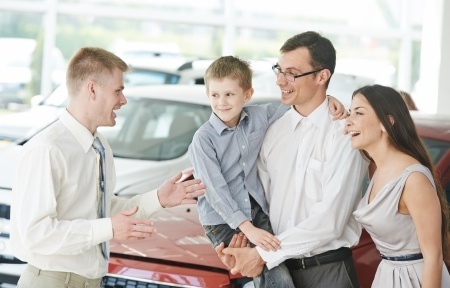 Everyone wants the best price possible, and keeping the consumer aware of any discounts and specials being run at your dealership may make them more motivated to stop by the showroom. A mailing list is an effective way to reach a lot of people in a short amount of time, and all without spending a lot of money. When people sign up for your email newsletter, they are agreeing to be contacted by you on a regular basis. Delivering informative content will ensure that they routinely open these emails, and by placing ads, offers or deals in the newsletter, you can create additional leads without being too intrusive. If you are contacting existing customers about new stocks or specials, you may want to take into account their previous shopping experience. It’s not uncommon to have customers that are loyal to a particular brand or model. That is why you should personalize their ads to include new vehicles from that particular brand or higher trim levels for the model that they like. Consumers do not really enjoy shopping for cars because they tend to have a negative view of the salespeople. However, you can get things in your favor by advertising the good things that your dealership does for the community or that your staff are not paid on commission or are trained to act ethically and professionally. Perhaps you sponsored a local kid’s soccer team, or perhaps a portion of money made from sales went to a local charity. Use advertising to show off those good deeds and prove that you can be trusted.